I really enjoyed a lot about the Inbound conference at the end of September in Boston. As my earlier article about Inbound 17 states, I see these conferences as a tune up. I don't focus on selling my services, and if i encounter a company that needs our help, then the new business is upside. This article is my summary of the product announcements made by Hubspot at the conference, either by Dharmesh Shah (CTO) or in one of the public sessions by Hubspot developers. Hubspot's initial product was a marketing platform in 2016. I became a customer in 2017. Back then, the product was well suited to host website pages and blogs but had limited capability as compared to modern website platforms today. It was great for creating content that was optimized for search and converting visitors into leads which was our primary need. In those days, we did not really know what Inbound Marketing was but we were doing it. I would say it was an unconscious competence since we were capturing leads digitally when other businesses were not. Since then, Hubspot has expanded their product set significantly. A few years ago, they launched a CRM for sales. They took a different approach than most CRMs. Instead of looking at the functionality from a manager's viewpoint, they took a look at the tasks that sales teams do every minute of each day and worked to make them seamless while adding a lot of value and enabling a sales process that followed the inbound methodology. 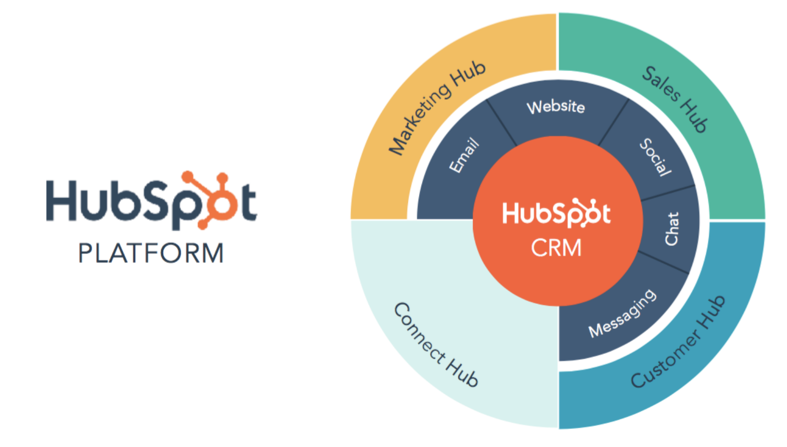 Hubspot has continued their investment in their CRM and have launched many significant enhancements this year. The image below shows how the Hubspot platform has advanced with several announcements this year. First, they are renaming the Sales and Marketing portals "Sales Hub" and "Marketing Hub." At Inbound they announced a new product called "Customer Hub" which was loosely described as a solution to help ensure your customers are delighted about your product or service through a customer interaction tool that enables management of cases where multiple members of your team can collaborate to address a client's need. You could call it a customer support portal but since it has not yet been released, we don't have a lot of specific details about it. We will know more closer to when the product ships in 2018. Notice the last section of the circle, the "Connect Hub." Dharmesh discussed the role of messaging in all businesses today. He said that companies will collaborate with clients through chat. My best way to describe the Connect Hub is that it aggregates all of the chat platforms into one unified inbox and when you reply to a request from a customer or prospect, it is sent out through that same chat platform. For any of you who are managing chat messages from LinkedIn, Facebook, Slack, Skype or others will love this tool. Just imaging the use case where a customer texts your company that they have an issue with your product. You could then move the issue into the Customer Hub to escalate the issue so it gets rapid resolution. Another example is when a user requests a quote or information about a product, this action could be sent to the local sales rep in the Sales Hub so the user gets fast response from their sales rep. And of course, if a brand or business related item comes in, it can be shared with the appropriate marketing person or the user can be sent material from the Marketing Hub or enrolled in an email sequence. Customer Hub is a 2018 product. We will be sure to post when it is near release. Contact us if you would like notice when it is available. Hubspot acquires Motion.ai to gain access to a bot platform where you can graphically create bot functions that address many activities through chat. They demonstrated this capability at the conference. Imagine automating responses to chat for basic requests. This function has the potential to supercharge your customer facing engagements. In a different session at the conference, an expert shared the investment Facebook is making in chat. They are modeling many of their new features off of the WeChat product which is used by many in China for everything from phone calls, chat and eCommerce. According to Dharmesh, Sales Hub is the single largest new product investment in the company's history. It was obvious from their presentation and all of the new features in this product. Hubspot announced a special Sales Pro promotion at Inbound. All users who own or purchase Sales Pro before the end of October 2017 will receive all of the new features with no increase in price. As of November 1, the Sales Pro list price is $400/month for groups of 5 users. This is a link to the Hubspot Sales Pro pricing page. The following video is a brief demo of the current version of Sales Pro. Have you ever had the challenge of determining how your website, emails, social media or blog posts have had an impact on your sales? Hubspot will be adding additional analytics called Campaign Reporting. 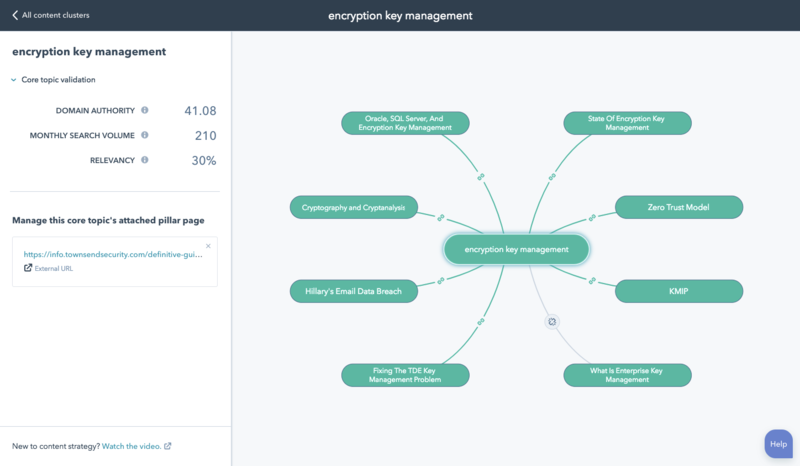 The new campaign reporting works by connecting the dots between user behavior and sales that are closed where the contact is associated with a deal. This has value for new sales and well as repeat sales. We all understand that our website and the information we publish on it has an impact on the sales process. By connecting site, content, email and blog behavior with a contact's action we will be able to tie revenue to campaigns. We will be one of the early testers so stay tuned. Hubspot also announced native integration with Shopify. Many Hubspot users have implemented custom integration with Shopify, but custom work is not maintained by Hubspot or Shopify. This new native integration enables product synch to Hubspot, purchase synch to Hubspot, list segmentation, automation emails and more. We have all seen the amazing things that Facebook has accomplished each year. Hubspot is doubling down on their integration with Facebook and making most features a standard part of the marketing platform. Facebook LeadAds is now part of all of the marketing portals! LeadAds enables a user to convert on an advertisement and provide their information without leaving Facebook. This approach increases the conversion rate for advertisements. If you have not tried Facebook advertisements, you should consider it, especially for B2C businesses. When running Facebook advertisements you must define the target audience. The precision targeting that Facebook enables is what makes it so successful. Another capability that has been added is the ability to synchronize a hubspot list with a Facebook audience and what's exciting about this is as the list updates, so does the Facebook audience. Prior to audience synch, you had to export the list of emails and then import the list into Facebook Ads Manager to create a custom audience. When the list membership changed, you had to create new custom audiences in Facebook. We will be upgrading our custom audiences once this capability is released. Hubspot announced a content strategy tool at the conference. We have been testing it since August. The concept is that modern SEO is based on addressing the search objective. The basic concept is to create a pillar page that addresses a need by answering common questions and then create blogs that answer supporting questions, all with links to the main pillar page. The tool helps the user explore several related topics and then correlates the analytics for the pillar page and the associated blogs. Bristol Strategy has been creating content strategies using an similar methodology for more than four years. Our content strategy process identifies the topics around the key factors that cause your customers to purchase your product or services. This season of product updates are really exciting. The new capabilities we are most excited about are the Sales Hub updates with the new AI, Connect Hub to improve the way we interact with customers and prospects with chat and finally the Facebook integration enhancements. If you would like to meet to discuss the Hubspot products and how they may help your business grow, please reach out to us.